, his is excellent. Not everyone's is perfect, but the most important thing is that everyone is having fun supporting an extremely worthwhile cause. 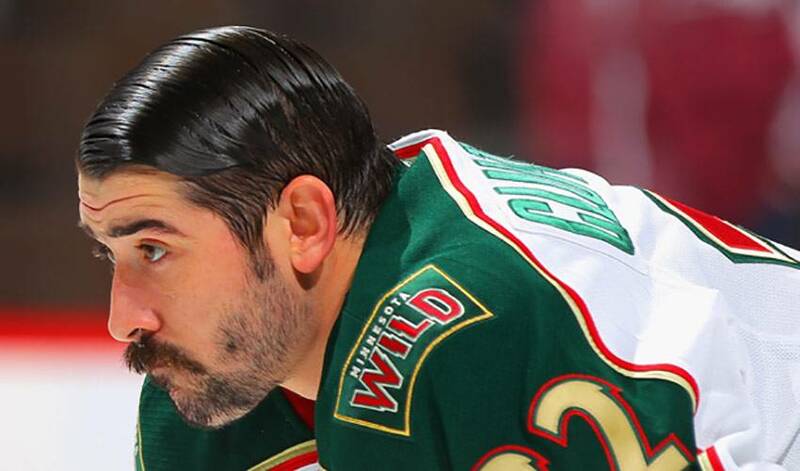 We're glad to do it.”Cal Clutterbuck“Mine looks alright, I suppose,” said the veteran defenceman, who has appeared in 400 regular season NHL games. “There are some good ones on our team. Funds raised are directed to programs run directly by Movember and to their men's health partner, Prostate Cancer Canada. Together, the two work together to ensure that Movember funds support a range of innovative programs in line with their strategic goals in the areas of awareness and education, survivorship and research. In the United States, the funds raised support prostate cancer, as well as other cancers that affect men. The money raised is then allotted to programs run directly by Movember and their men's health partners, the Prostate Cancer Foundation and LIVESTRONG, the Lance Armstrong Foundation. How does Couture, one of the game's top young stars, respond? As for his assessment of his teammates' facial hair, Couture admits it's an equal mix of the good, the bad and the ugly. Brent Burns, another Sharks defenceman, might not be getting thumbs-up from his wife when it comes to his Movember look, but he's happy to be on-board.